Back-to-School | What Really Matters to Multicultural Consumers? It’s here already – the time of year when consumers are in a frenzy about their children returning to school. Whether it’s preparing for elementary, high school, college or post-collegiate studies, back-to-school forces the transition from vacation mode to academia. While a lot of the focus seems to be about shopping, this isn’t the sole consideration – especially for multicultural consumers. While multicultural consumers are as interested in catching great deals as is the general market, they are typically more interested in knowing which brands care enough to have a positive presence in their communities and truly make a difference. Accomplishing this requires marketers to make direct and authentic engagements with this audience. Direct engagement involves meeting them where they are – showing up in their neighborhoods and in their schools – to show that the brand really does care. Authentic engagement is about understanding what matters most to a targeted consumer and catering to those nuances in a way that is not forced. It also means pushing back on the false narrative that many Black parents don’t value (or know the value of) education. As a Black parent, I hate when I hear this horrific falsehood that has been reinforced in this country for far too long. A 2014 Washington Post article, “Stop blaming black parents for underachieving kids,” does a great job of breaking down this socioeconomic issue, noting the difference between “will and way.” Ultimately, many multicultural students are faced with the reality of having limited resources and experiencing disparities in their school systems. For this reason, multicultural consumers aren’t so quick to support brands who simply provide just the products and services. They have to be willing to bring more to the table. 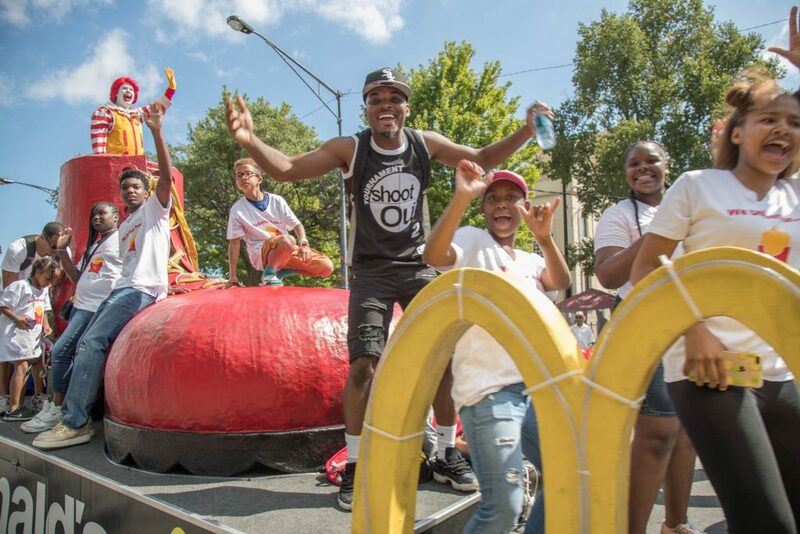 FCG works with the Black McDonald’s Operators Association (BMOA), which sponsors the Bud Billiken Parade, a back-to-school celebration, in Chicago. This event draws hundreds of African American consumers each year. Brand presence at this parade provides an opportunity for direct engagement. Understanding the needs of their key consumers, the BMOA drives a large school supply giveaway to help families get their children ready to go back to school.. Why does this work? Because the brand not only demonstrates its investment in the community, but it reaches the audience in a relevant, respectful and authentic way. This back-to-school campaign is just one of the BMOA’s many community programs. And of course, consistency is key to ensuring long-term success. So, brands: if you’re looking to successfully reach multicultural consumers, be prepared to show up throughout the year, by directly and authentically engaging around moments that really matter.